Pregnancy is that phase of life when it comes important to have a good knowledge of what to consume and what to avoid. The most common restricted items are liquor and coffee and almost everybody knows the consequences of consuming them, but they are not the only ones and there are few more which do need to be known as well. People generally keep telling what the mother-to-be should be consuming but rarely discuss those foods which are good for the mom and baby at this time. Let us now discuss some of the foods whose consumption can prove beneficial for both the mother and the baby, one of which is the green peas. Even though looks tiny but is a nutritional powerhouse. We shall further go through its nutritional packaging and its benefits and recipes during this time. baby during pregnancy? The size of peas is small, but they are enriched with nutrients and vitamins, fiber and protein. It is its high protein content amazes the nutritionists.Let us now see what its nutrient database is and why it is an ideal food for the pregnant ladies to get the required vitamin and protein intake. Ideally, the most significant vitamin in the peas for pregnant ladies is B9 as it helps to reduce the neural defects which are due to lack of vitamins. 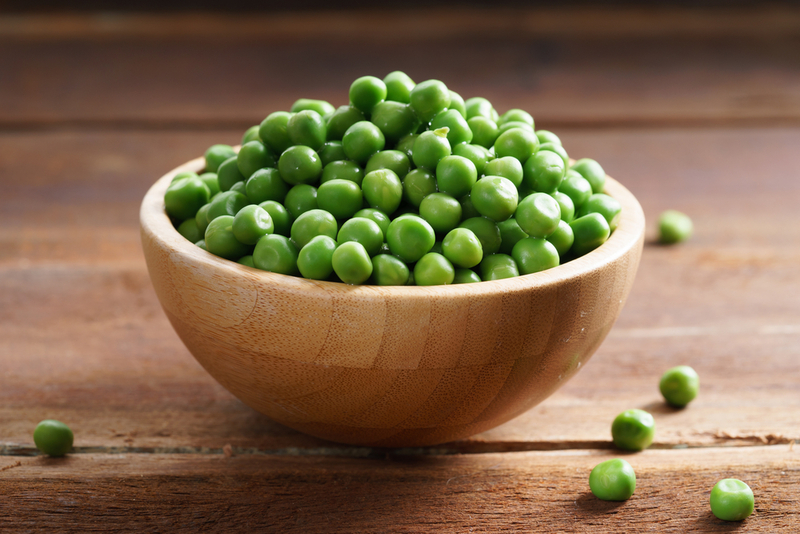 Coming to calories, the calorie content of green peas is reasonably low. 70% of it is provided by the carb. Helps In Regulating The Blood Sugar: Since peas are enriched with proteins and fiber it helps to regulate blood sugar readings and even aid in the digestion process. Beneficial For The Eyes: Peas even constitute of Vitamin A which are ideal for healthy eyes. It helps to keep the vision crystal clear. Uplifts The Energy: Consumption of peas helps to boost the energy spurts since it is enriched with iron. If the iron intake of a body is less, one feels weak and tired, so having an adequate amount of iron helps in protection from all types of infection. Aids In Weight Management: Weight is another factor that can be regulated by consuming peas as it helps in staying fit and healthy as well as the fiber in peas helps to lose weight easily. It helps to smoothen the digestion process, cuts down hunger and does not make you feel hungry again and again. The intake of fiber also helps to lower the blood cholesterol levels. Helps In Preventing Stomach Cancer: Peas have one very significant mineral that helps in protecting the probability of stomach cancer as well. Helps To Build Healthy Bones: Vitamin K is known to be the base for the foundation of strong bones as it helps with the bone’s calcium retention. Peas are helpful to prevent any bone related issues. Comprises Of Anti-Inflammatory Properties: Peas help in preventing the body from Inflammation which is the core factor for heart ailments, arthritis, cancer etc.since they are loaded with polyphenols, flavonoids etc. An Ideal Choice For Pregnant Women: Nutritious food is the most important for the pregnant women and it is said that the women must eat not only for herself but for the one inside her as well. Peas are a great source of folate that helps in promoting the synthesis of DNA and consumption of peas during this phase by the mother helps in avoiding any birth deficiencies. Improves The Functioning Of The Brain: Peas is an excellent choice for the effective functioning of the brain. Passing age leads to memory shortfall, forgetfulness, Alzheimer’s etc. Having regular consumption of peas helps in prevention of any damage to the nerves of the brain. Having green peas during early pregnancy is exceptionally advantageous. This is not only because they are high in protein, fiber, and vitamins, which are very important for a healthy pregnancy, but also green peas are easy to cook and prepare dishes with. Add 1 large chopped onion with a dollop of butter or oil to a cooking vessel and keep stirring on very low heat till they become soft and pink. Add fresh green peas (about 500gms) with 2 bowls of chicken stock or vegetable stock as per your choice and let it come to a boil, turn the heat to low, cover and let it cook for about 10 -15 minutes. Now add one sprig mint and blend all. Finally add ½ cup yogurt, a cup of milk, and salt and pepper according to taste. The green peas soup is ready and can be garnished with fresh mint leaves as well. The soup can be served with any choice of fresh bread. Heat 1-2 tbsp oil in a cooking pan and add ½ cup chopped onions to it. Add ½ cup chopped tomatoes and cook till they become soft and soggy. Add 2 tbsp ginger garlic paste and cook till its raw smell fades away. Now add ¼ tsp turmeric powder, 1 tsp coriander powder, ½ tsp red chilli powder and 1 tsp of garam masala and salt as per taste. Add ½ cup steamed peas and keep cooking till they become soft. Wait till done and add 1 cup chopped okra and cook till soft. Switch off the flame once done and keep covered. Take another pan and add a ½ tsp oil and add ¼ tsp cumin seeds and let them crackle, after this add 2 cups of cooked rice, (brown rice can be replaced by white rice to get more nutrition and fiber intake). Stir for a while and add the peas okra mix. Cook on low flame for 4 minutes or so. It can be garnished with fresh coriander leaves and served hot. Soak ¼ cup bajra and moong in different containers with sufficient water for at least 5 hours and then drain them nicely and keep aside. Combine the bajra, moong, ½ cup green peas, salt according to taste and a cup of water in a pressure cooker, mix it nicely and cook till 5 whistles. Let the steam settle and keep away. Heat 2tsp oil in a thick pan and add 1 tsp cumin seeds and let them crackle. Now add a pinch of asafoetida, ½ cup chopped onions and cook on low-medium heat for about a minute. Add 1 cup chopped tomatoes, 1 tsp garlic paste, ½ tsp ginger paste, ½ tsp green chilli paste, ½ tsp turmeric powder, 1 tsp chilli powder and salt as per taste. Mix all of these and cook for 3 minutes or so. Mash them well and add the bajra, moong and green pea mixture along with ¼ cup water and keep stirring till about 5 minutes. Therefore, it can be said that peas are nutrient dense and an ideal source of protein as well. They also have a good finer intake and can be consumed by people who are looking to lose weight or even by the ones who have diabetes since it has a reduced glycaemic indicator. More than that it has additional benefits for a pregnant woman as it saves the mother and baby from infection, keeps the energy spurts alive, regulates cholesterol and recedes the neural tubal defects for the baby. So, it is a must and an ideal choice to be consumed during the pregnancy phase for sure.